The Keynsham Winter Festival is taking place Friday 25th November 2016, meaning that Keynsham High Street, Charlton Road and Temple Street will be closed between 15:30 & 22:00. The buses will enter Keynsham from Hicksgate roundabout, turn around at Keynsham Church before exiting Keynsham to continue going to Bristol Airport/Bath. All journeys from 15:00 to 22:00 will be using this diversion. The 19:30 & 20:30 journeys from Bath that serve the Park Estate will be following the normal route to Bath Road Keynsham, then Temple Street, to divert via Rock Road, Park Road and Coronation Avenue, to re-join the route through the estate to Charlton Road. The service will then terminate at Ashton Way. If you require any further information please email hq@bathbuscompmany.com or call 01225330444. This entry was posted in Uncategorized on November 23, 2016 by Connor Flavell. West Town Lane will be closed between Bath Road and it’s junction with Callington Road from Wednesday November 16th until and including November 17th between 21:00 & 07:00. 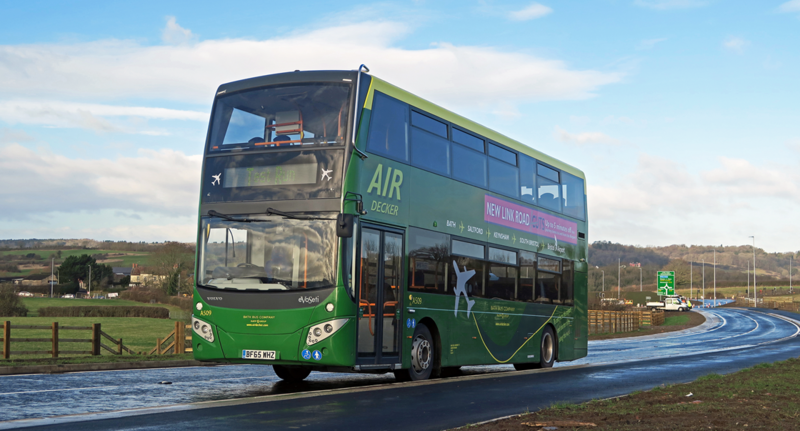 At the Brislington Park and Ride junction on the Bath Road, the Air Deckers will be turning left into Stockwood Road, then taking the second Right into Hungerford Road. They will follow Hungerford Road to the junction with West Town Lane, then turn right into West Town Lane and then left at the junction into Callington Road to re-join the normal route. At the junction with Callington Road and West Town Lane at the top of the hill, the Air Deckers will be turning right into West Town Lane, then taking the first left into Hungerford Road. They will then continue along Hungerford Road to the junction with Stockwood Road, turn left into Stockwood Road, then turn right into Bath Road to re-join the normal route at Brislington Park and Ride. Please note: Passengers travelling towards Bath can use the number 36 bus stop, opposite the Park and Ride entrance on Stockwood Road during this time. This entry was posted in Uncategorized on November 15, 2016 by Connor Flavell.